Warren says he had a great time learning to fly with help from the Truckee EAA Young Eagles program. TRUCKEE, Calif. — Another Little Brother, Warren, recently received a full scholarship to fly across the country to attend the Young Eagles flying camp this year. Big Brother Jim has been a longtime member of the local chapter of the Experimental Aircraft Association in Truckee. 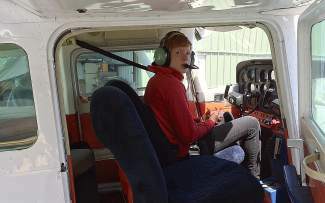 EAA provides full scholarships for two students to fly across the country to Wisconsin and take a weeklong camp to learn about aircraft and flying. Jim helped his little brother, Danny, go to the Air Academy last year and jumped on the opportunity to help Warren with the opportunity this year. The EAA Young Eagles Camp is designed as an introduction to the wonderful world of aviation. 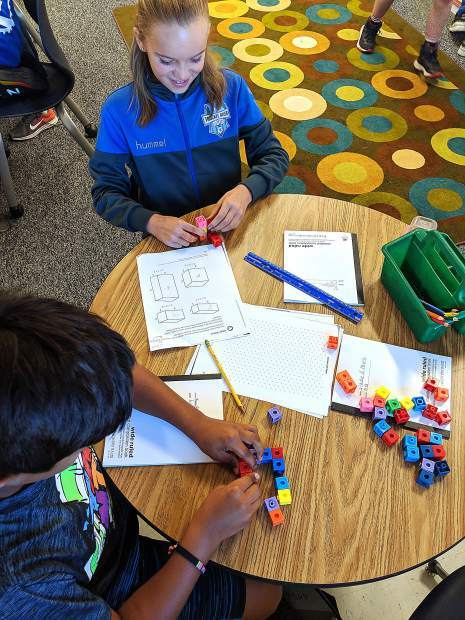 This program uses small group activities and close counselor relationships to present the basics of flight in a “science camp” format that is a unique combination of fun and discovery. Some activities include airplane wing construction, aeromodeling, ground school and airplanes (history and flight). Students tour the EAA Air Venture Museum, visit the Pioneer Airport, watch flight demonstrations and experience the thrill of flight in both an airplane and helicopter. Here is an excerpt from Warren’s thank you letter to EAA: “We went flying, hands down the most fun activity. Flying made me feel so happy. I felt like a real pilot. The fact that they trusted me by myself made me feel happy. The Young Eagles program was started by EAA in 1992 with the goal of introducing 1 million kids to aviation by giving them a free airplane ride, and completing that goal by the centennial of the Wright brothers’ flight on Dec. 17, 2003. EAA exceeded it and kept the program going, having now flown more than 1.8 million kids. The Truckee Chapter 1073 has flown more than 2,500 Young Eagles! Visit eaa1073.org/young-eagles to learn more about Truckee Chapter 1073. The other local youth who got to go to Wisconsin is Paige Hourigan. Both Paige and Warren got interested through the Young Eagles program. They took a flight and loved it. Paige wanted to get involved more and started working/volunteering at the glider port at Soar Truckee, and loves it there. This is her fourth summer there. A big thank you to Big Brother Jim and EAA and the Young Eagles program for providing this amazing opportunity for these kids. Big Brothers Big Sisters of Nevada County and North Lake Tahoe has 12 girls and boys waiting for a BIG of their own. Also, there are four girls and one boy on the wait list to get a big at the Boys & Girls Club of North Lake Tahoe, our site-based mentoring program in Kings Beach. Peggy Martin is Community Development Director for Big Brothers Big Sisters of Nevada County and North Lake Tahoe. Visit bigsofnc.org to learn more about becoming a Big.